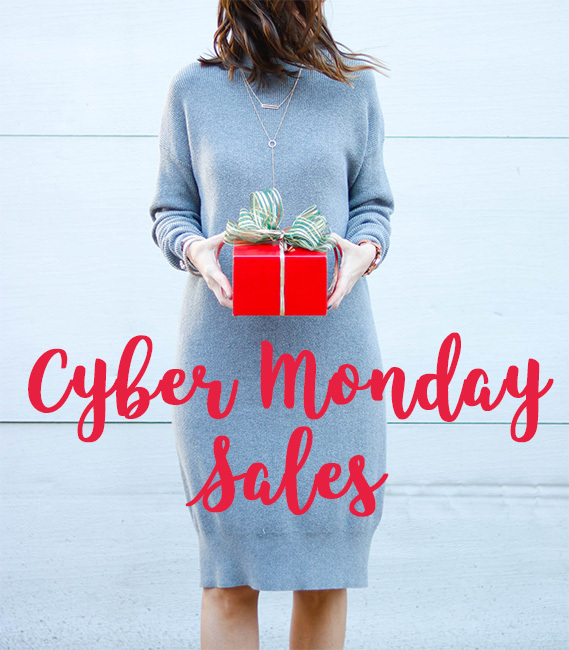 We’re in the final stretch! 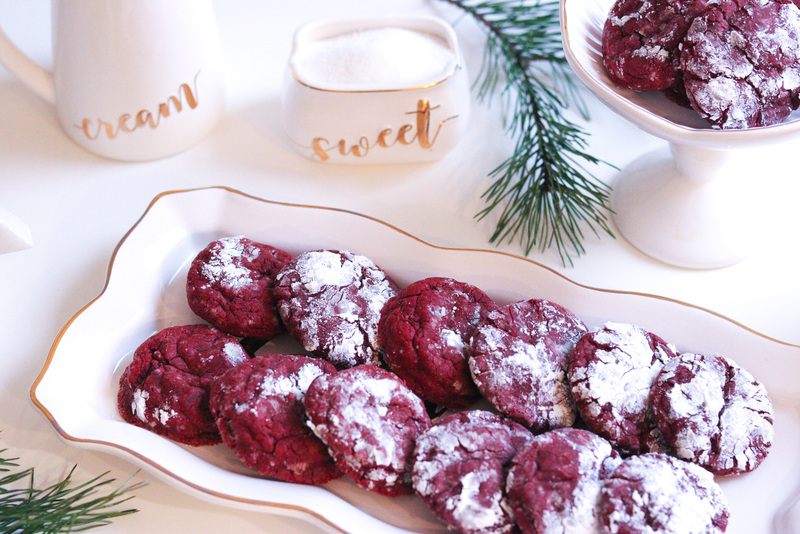 With Christmas quickly approaching, I teamed up with nine of my favorite bloggers to share our favorite Christmas cookie recipes with each other and all of YOU! 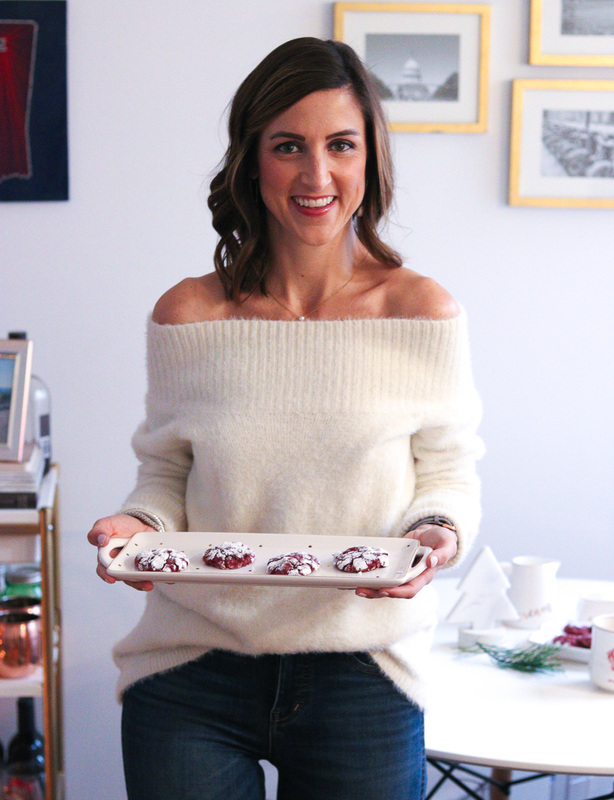 For me, cookie baking is synonymous with the holidays so it’s something I look forward to every year! 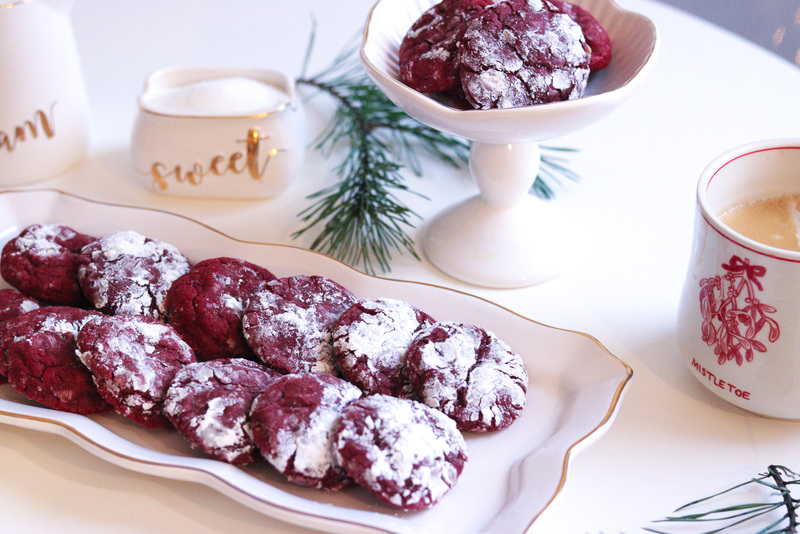 This year I decided to try my hand at a new-to me recipe for Red Velvet Butter Cookies. Let’s just say I’ll definitely be making these again next year! 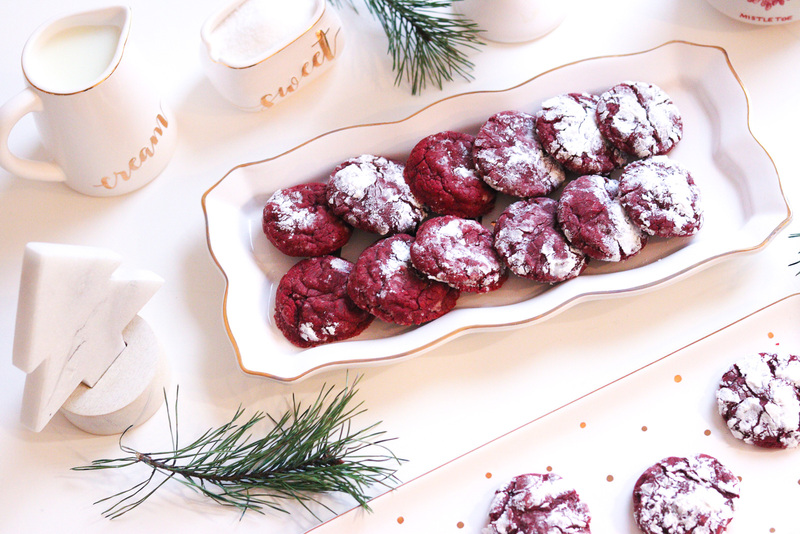 These cookies are perfect for the holidays with their festive red tint and snow like dusting of powdered sugar. The recipe is super easy to follow (adapted from this recipe), but beware, you have to let the dough chill for at least 2 hours before baking, so just make sure to do a little planning before committing to bake up these holiday cookies. 1. Whisk together flour, cocoa and baking powder until well blended. Set aside. 2. Using an electric mixer, cream together cream cheese and butter until well blended, creamy and smooth. Beat in sugars, vanilla, red food coloring, and salt; mix until well blended, light and fluffy. Add egg and egg yolk and beat in well until creamy and light, about 2 to 3 minutes on medium speed. 3. On low speed, gradually add flour mixture; mix until fully incorporated. Dough will be very sticky. Cover bowl and refrigerate at least 2 hours or overnight. 4. After the refrigeration period, preheat oven to 325ºF. Place powdered sugar in a small bowl; set aside. 5. Roll dough into generous 1-inch balls. 6. Then roll the balls in powdered sugar to coat. TIP: Heavily coat the ball with the powdered sugar. If you don’t, the powdered sugar will disappear upon baking. 7. Spray baking sheet with non-stick spray. Place dough balls on baking sheet at least 2 inches apart. 8. Bake in oven until cookies have spread into round cookie shapes and are puffed and crackly, about 14 minutes. Do not overbake. The cookies will still look a bit doughy. That’s ok! I promise they will stiffen up when cooling. If they start to brown around the edges, they have baked too long. 9. 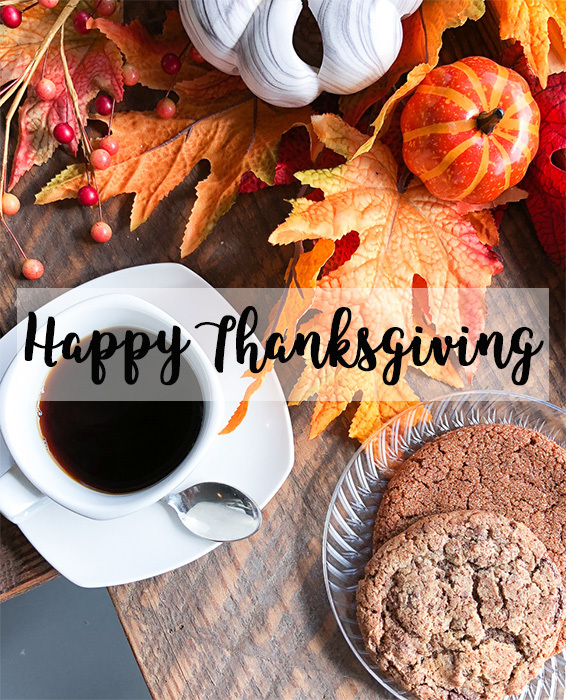 Carefully transfer cookies to cooling rack or tin foil on countertop and allow cookies to cool for at least 10 minutes. 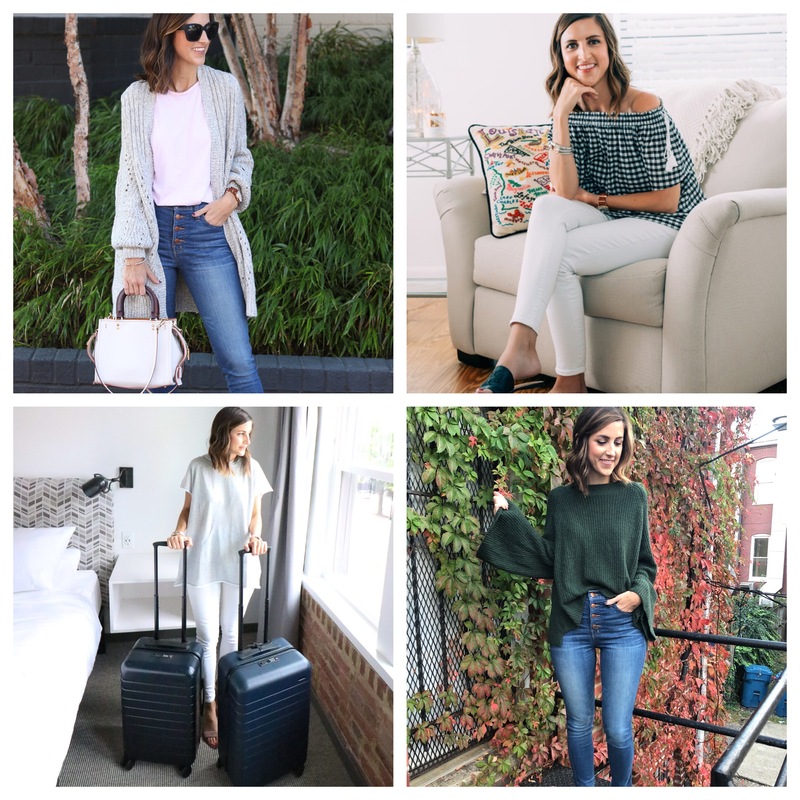 Morgan of How2Wear it shares a gluten free version of a crowd favorite! 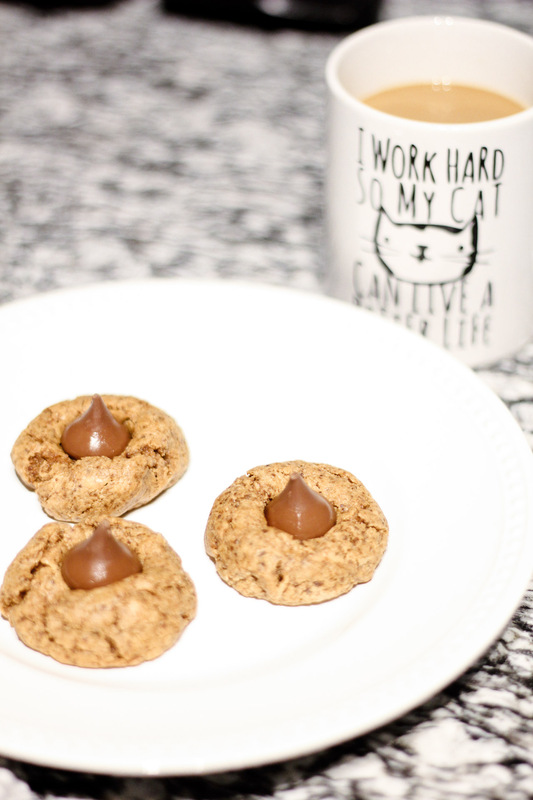 Click here for Morgan’s Gluten Free Peanut Butter Cookie recipe! 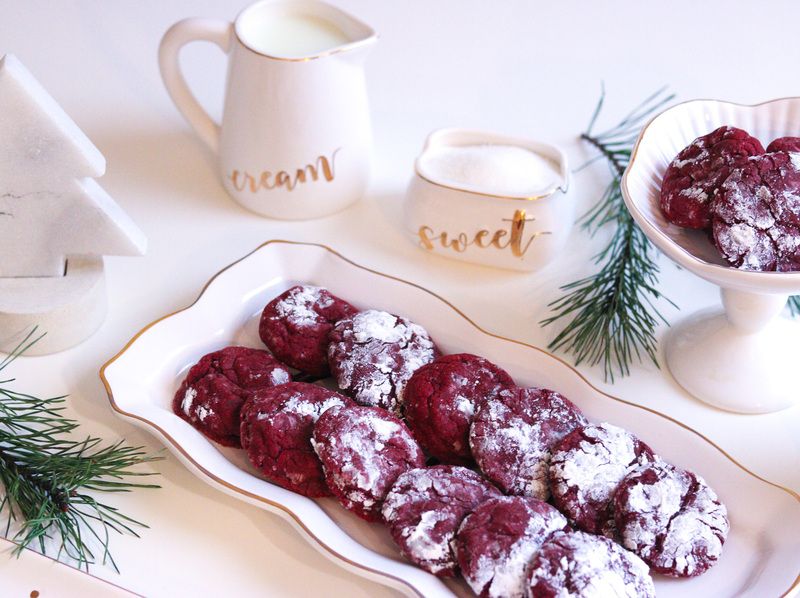 Red Velvet is my favorite so I totally need to try these! They look very tasty! These look SO DELICIOUS! 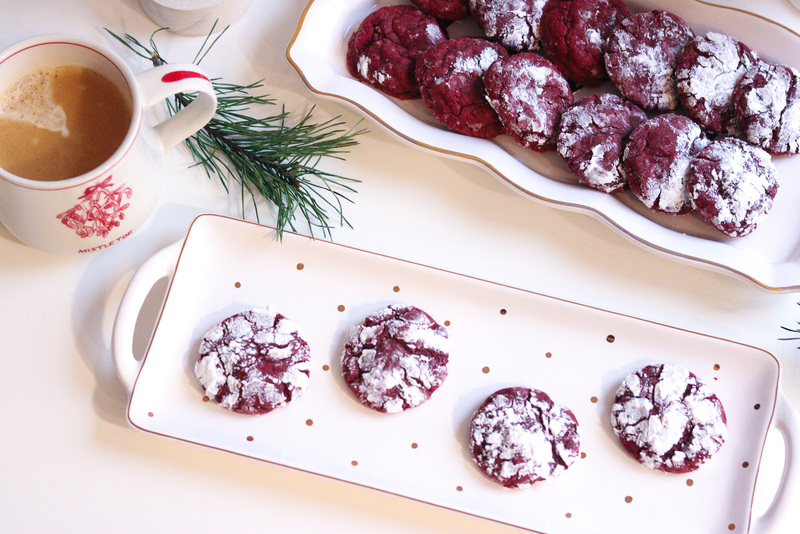 I love Red Velvet Cookies – so festive for this time of year! I adore red velvet cake so I definitely need to make these! They look so good!